Irish Fire Safety Certificate Consultants Clare. Irish Fire Safety Consultants Clare. Irish Fire Safety Certificate Consultants Limerick. We are experienced Fire Safety Certificate engineers in Limerick. John has over 21 years ‘experience with local County Fire Service. We are based in County Cork with easy access to Counties Kerry, Waterford, Clare, Tipperary and Cork. We provide a nationwide service teaching the tools of fire prevention in Kerry. Irish Fire Safety Consultants Limerick. We are experienced fire safety engineers in Limerick. John has over 21 years ‘experience with local County Fire Service. John P Harrington and associates are experienced fire safety engineers in Cork. John has over 21 years ‘experience with Cork County Fire Service. And a member of The Institution of Fire Engineers (MIFireE) and is also a member of Engineers Cork. We are based in County Cork with quick access to Counties Kerry, Limerick, Clare, Waterford and Tipperary. We provide a nationwide service teaching the tools of fire prevention in Cork. John P Harrington and associates are experienced Fire Safety Certificate engineers in Cork. John has over 21 years ‘experience with Cork County Fire Service. We are the fire safety consultants in West Cork. Building Disability Certification. 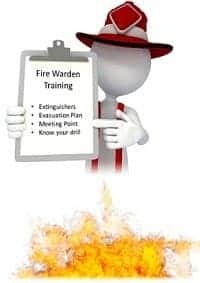 We are the Fire Safety Certificate consultants in West Cork. Building Disability Certification. Fire Safety Certificates from Certified Irish Engineers. A Fire Safety Certificate is granted by your local building control authority (your local city or county council). For your local building control authority to grant a fire safety certificate, you must first obtain the services of a competent engineer with a good understanding of current building regulations and an excellent understanding of fire safety regulations to compile the necessary fire safety certificate application. The fire safety certificate application will consist of Drawings, calculations, specifications and a report it will also give details of the proposed use and the existing use of the building where appropriate. It certifies that the design of the building or works would be in compliance with the requirements of part B of the Second Schedule to the Building Regulations, 1997-2008. How do I know if I need a fire safety certificate or not? With the exception of houses and certain agricultural buildings, a fire safety certificate is generally required for all new buildings, including apartments and flats. A fire safety certificate is also required for material changes of use and certain alterations and extensions to buildings. It is very important a fire safety certificate must be obtained before work starts. Before you begin any work or make a material change of use, you should talk to a fire safety consultant for advice, it could save you a lot of time and money. The fee charged by your local city or county council for a standard fire safety certificate application is €2.90 per square meter of internal floor area for the required application. If you decide to go ahead with the building, alterations or change of use without applying for a fire safety certificate then you stand the risk of major problems down the road, along with a substantial increase in costs. The fire certificate then required would be called a Regularisation Certificate which your local city or county council fee will be €11.60 per square meter of internal floor area for the required application, along with any changes to the building that may be required to enable a certificate application to be granted. Are there different types of fire safety certificate applications? There are two new types of fire safety certification introduced under SI 351, Building Control Amendment Regs, 2009? • Revised Fire Safety Certificate also known as the seven day notice certificate. How long should it take to get a fire safety certificate? The statutory period allowed to a building control authority to process a fire safety certificate application is two months. However, some building control authorities will have the entire process completed much quicker than that, I have had Fire safety certificate applications granted within two weeks in certain counties. Council fees for a fire safety certificate application. Fees are calculated at €2.90 per square metre of internal floor area. Fee for submission of a 7 Day notice: €5.80 per square metre of internal floor area. Minimum fee €250. Disability Access Certificate or Revised DAC application fee is a fixed fee of €800 per application, i.e. per building. When a fire safety certificate application is submitted to your local building control authority you will be informed that a Disability Access Certificate is also required. Fire Safety Certificates and Disability Access Certificates. All new buildings or existing buildings which are intended to have internal alterations made to them which are commercial in nature, or public buildings, require a fire safety certificate and disability access certificate. Both of these certificates are granted on foot of an application to the local Authority, and are similar to a planning application in that drawings, details and reports have to be compiled and submitted to the authority to show how the intended building will comply with the appropriate fire and disability legislation. be glad to discuss your project in detail. John Harrington. BEng, MIFireE, MIEI.